When I first started drinking wine around the age of 19, I remember falling for those outside of the “norm” (ie: the old world) and heading straight to “New World wines”. The first country to interest me was Australia and I recall a fine Shiraz Grenache that I drank on many an evening, which was appealing for both its richness from the Shiraz and the sweeter notes the Grenache grape provided. Years later (and after a move to the UK from Canada) my palate has changed and so has my exposure to wine. Living over here I tend to now drink a lot of French and Italian wine, simply because of its availability in UK supermarkets (and due to trips to the continent from which the boy and I return with copious amounts of vino to stock our cupboards with). But one wine-producing country I am still not that familiar with is New Zealand. I’m confident I’ve had a few bottles from there over the years but none has stood out enough to impress. Still, it has been a country I’ve been interested in for a while not least because a very close friend of the boy and I moved out there about 18 months ago and her comments on the country and all its goodness raise our jealousy levels constantly. 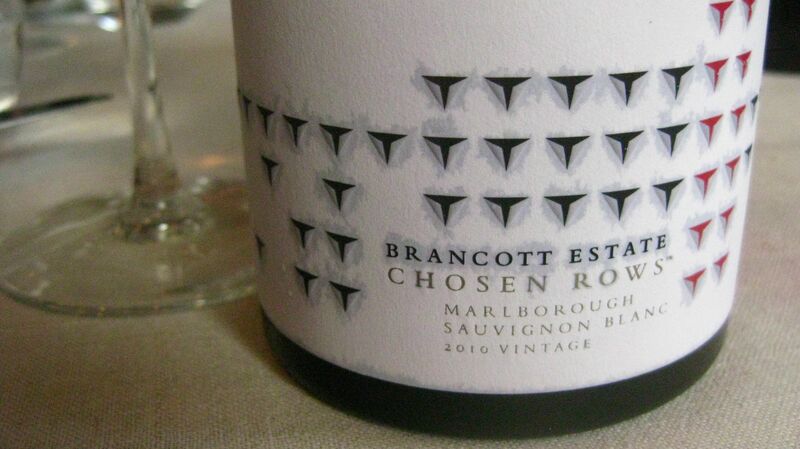 So, it was with a pre-built-in interest that I recently attended a wine lunch with Brancott Estate – a Marlborough based winery that has been in existence since the late 1970s. Up until recently, it was called Montana Wines, which may be more recognisable for those of you who are already familiar with Kiwi wines. The company decided to re-brand after it upped its exports to the US because it didn’t want people thinking that Montana Wine came from the state of Montana. The company is now called Brancott after the first estate that was planted by the Croatian family who started the vineyard nearly four decades ago. At the lunch at airy and beautiful Clerkenwell restaurant The Modern Pantry, I joined other food writers and chief winemaker Patrick Materman, who has been with the company for 23 years. Materman studied horticulture and was originally intending to grow flowers but realised it would be more interesting to grow grapes and make wine instead. Logical, indeed, I thought. As background, Materman told us the company’s founders planted the first Sauvignon Blanc grapes in New Zealand, which are now a part of the 33 thousand hectares of vineyards in the country. The grape is the company’s main focus with Pinot Noir coming in second. Before we tried the newest release, there was a sample of a sparkling Sauvignon Blanc Brut to come first. I enjoyed this as it was bursting with sharply acidic tropical fruit (pineapple, lemon, lime, clementime) with a slight soda dryness right at end that kept it from being overwhelmingly fruity. It was refreshing and sprightly. Next up was the new release, which is available on a limited edition basis for around £35. This turned out to be my favourite of the day, but at the price tag won’t be one I’ll be purchasing regularly. Still, if you see it about and fancy trying a lovely example of a New Zealand wine, I highly recommend it. It had a lovely contrast between the flavours throughout the sip, starting with sweeter citrus notes (I thought of pink grapefruit with sugar sprinkled on top) and moving to an earthier heavy mouthfeel filled with grassy and mushroom notes, and finishing on a note of red apple peel. It had weight, intrigue and richness – all things I enjoy in a wine. 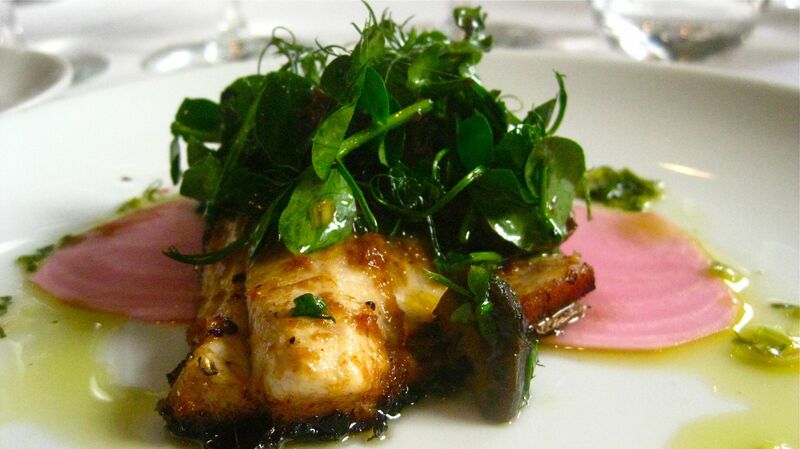 The lunch continued with a gorgeous, crunchy bit of sea bass on candied beetroot with pink peppercorns that paired wonderfully with the company’s Letter B series wine – also a Sauvignon Blanc. This was followed by a meaty bit of pork belly, with roasted potatoes and a delectable fig and red onion relish that I enjoyed thoroughly with the delicate blackcurrent back-boned Pinot Noir Terraces ‘T’ wine (my second favourite of the day). What I found most interesting was the fact that Materman admitted New Zealand wines will never be massive in their reach (simply because the country is running out of spaces to grow grapes on) but that it means many producers can be slightly more creative and pay more attention to their vines. The entirety of New Zealand’s wine region is around the same size as Champagne and putting it in that perspective made me realise why I may not have tried the offerings so often. But, tasting the complex, intriguing and thoroughly delicious wines (especially the Chosen Rows and Pinor Noir bottles) made me want to search for the pleasure of this wine region again in the near future. 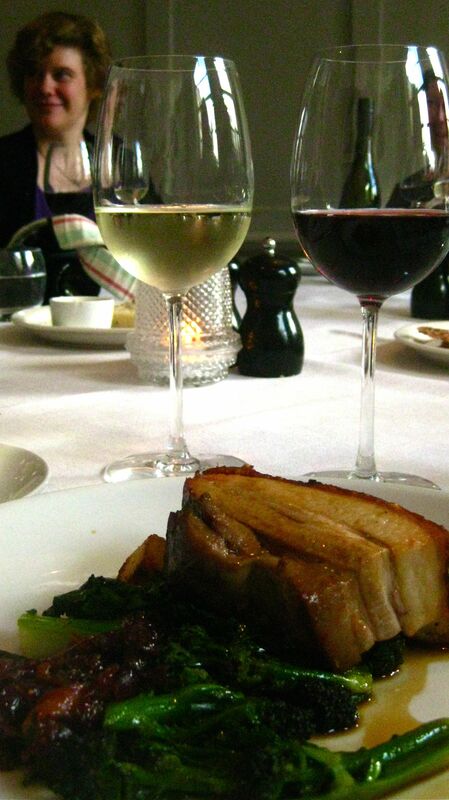 Or, travel to New Zealand to taste it in the flesh, something that is also now even more firmly on the ‘to-do’ list!